SAN DIEGO, Jan. 25, 2017 /PRNewswire/ — Medical Marijuana, Inc. (MJNA), announced today that its subsidiary Kannaway®, LLC, the first hemp lifestyle network to offer cannabidiol (CBD) hemp botanical products, has unveiled a new premium hemp oil product – Kannaway Gold. New Kannaway® Gold Premium Hemp Oil is an all-natural, full-spectrum, filtered CBD hemp oil, extracted from the hemp plant and packaged pure with no other ingredients or additives. Each 15-gram tube contains 30 servings for a month’s worth of daily CBD. Kannaway® Gold is the company’s highest potency product, providing 120mg of CBD per serving and 3600mg of CBD per tube. The new premium hemp oil is decarboxylated to maximize CBD content and put through an additional filtration process to remove the hemp oil’s excess waxes, chlorophyll, and plant material, giving the oil its golden color and refined taste. 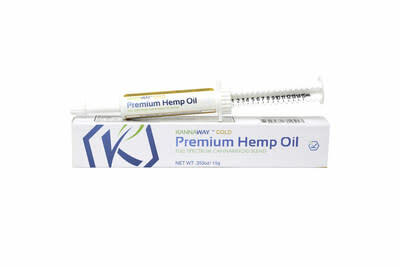 The Kannaway® Gold Premium Hemp Oil comes in a 15-gram Gold Label tube at a price of $350.00. The hemp oil, which comes in an easy to dispense oral applicator is minimally processed, non-GMO, and certified laboratory tested. It is available HERE. Be the first to comment on "Medical Marijuana, Inc. Subsidiary Kannaway® Announces Launch of a New Product- “Kannaway® Gold Premium Hemp Oil”"